A company that makes dicamba-resistant soybeans and cotton wants to expand use of the controversial weed killer to corn. But critics and experts questioning the logic of the petition. 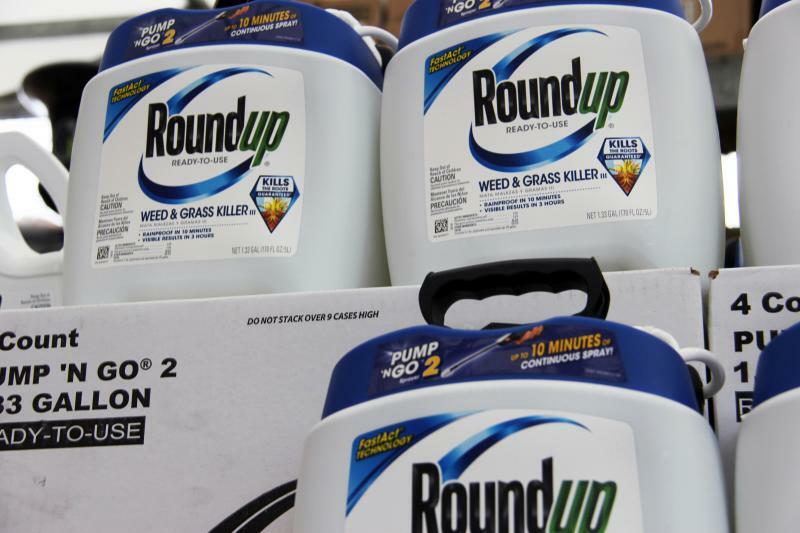 A federal jury in San Francisco has unanimously decided that Bayer AG’s weed killer Roundup caused a California resident to develop cancer. Edwin Hardeman alleged in his suit that using the herbicide over three decades on his properties caused him to develop non-Hodgkin’s lymphoma, a cancer that affects the immune system. His lawsuit is the first federal court case against Bayer’s Roundup and could predict the outcome of hundreds of cases that the company faces for similar claims. Bayer bought St. Louis-based Monsanto, maker of Roundup, last year. Mike Hayes and I are sitting on the patio of Blue Bank Resort, the business he owns on Reelfoot Lake, in Tennessee. The sun is going down. It's beautiful. What really catches your eye here is the cypress trees. They line the lake, and thousands of them are standing right in the water. Hayes tells me that they are more than 200 years old. Farmers in a federal class-action lawsuit filed two main complaints this week against agro-chemical giants Monsanto and BASF regarding the herbicide dicamba, which is blamed for millions of acres of crop damage, especially to soybeans, over the last couple years. 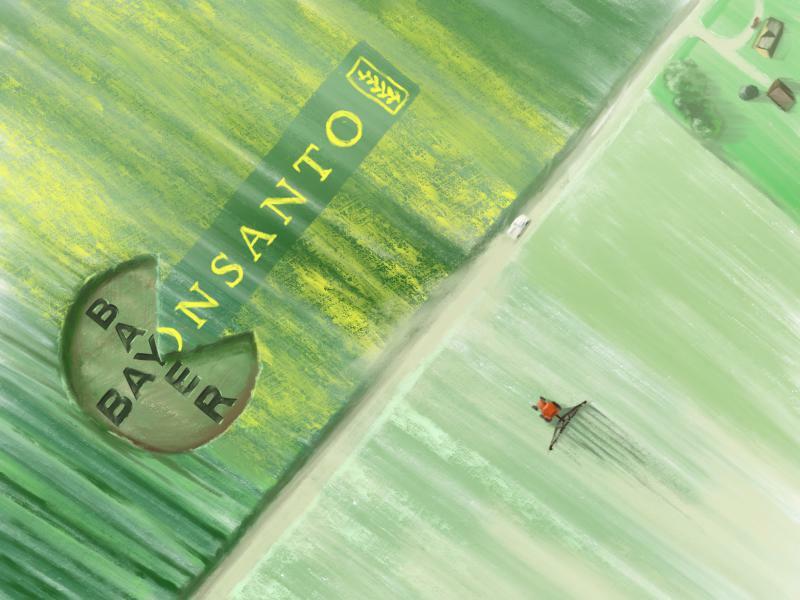 Monsanto, a company based in St. Louis for more than 100 years, is now part of Bayer. The roughly $63-billion acquisition closed Thursday, nearly two years after the companies first announced the deal. Regulators in Canada and Mexico were among the last international watchdogs to approve the combination. The U.S. Department of Justice signed off on it late last month after Bayer committed to shedding about $9 billion in several areas to chemical giant BASF. That includes Bayer's Liberty-brand herbicides, which compete with Monsanto's Roundup. Originally, it was just a name — Olga Monsanto's name, to be precise. Around the turn of the 20th century, she married a man named John Francis Queeny. He named his artificial sweetener company after her. And over decades, that company expanded from the sweetness business into agri-chemicals, where it began to dominate the industry. Lawsuits filed in Arkansas, Illinois, Kansas and Missouri against the makers of the herbicide dicamba will be centralized in the federal court in St. Louis. The Associated Press reports that the U.S. Judicial Panel on Multidistrict Ligitation decided Thursday to centralize the 11 cases, which allege the herbicide caused significant damage to soybean crops. 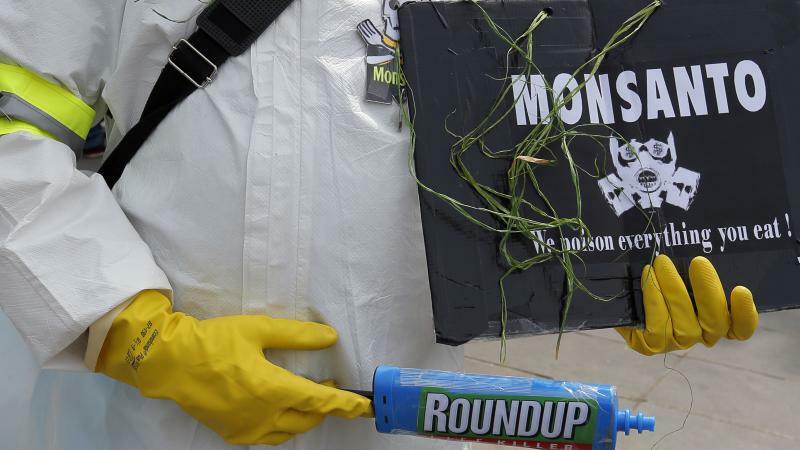 Regulators in Arkansas have proposed to effectively ban farmers from using a controversial weedkiller produced by Monsanto that is thought to be destroying crops after drifting in the wind. Dicamba Has Been Around For Years. Why Would It Now Be Causing Problems? 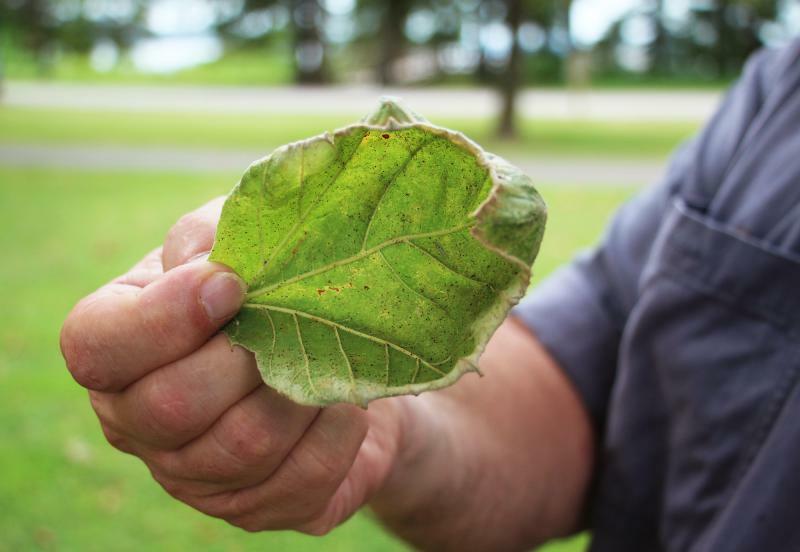 The herbicide dicamba is thought to have been the culprit in more than 3 million acres of damaged soybeans across the country, destroying plants and leaving farmers out millions of dollars in crops. The chemical has been in use for decades, so why is it today apparently causing farms so much damage?